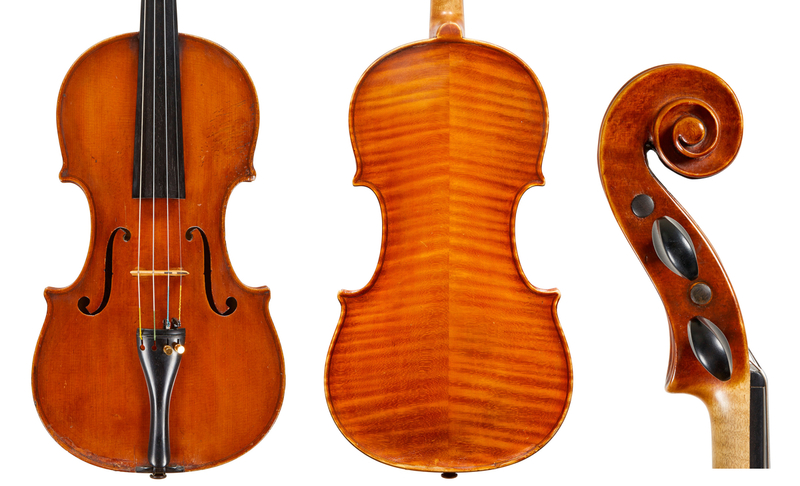 By the late 19th century, fine violin making in Venice had been in decline for over a century, as it suffered a fate similar to the Cremonese school. Its admirable traditions, however, were upheld by several makers until the late 18th century, including the workshop of Giorgio Seraphin (1726–1775) and his able pupil Anselmo Bellosio (1743–1793), as well as in some of the best instruments now attributed to Michele Deconet (1713–1799). Other makers had certainly worked in Venice and across the Veneto region in that era, but their very low output has become obscured by time. By early in the 19th century, traditional Venetian violin making was barely surviving through the works of Bellosio’s stylistic descendants, Marco Cerin (1774–1810) and Pietro Novello (1779–1831). And by the mid-19th century, Luigi Fabris (1809–1889), a relatively prolific and well-known maker, seems to have been the only one left working in the city itself. In the meantime in nearby Padua a contemporary of Fabris, Gaetano Chiocchi (1814–c.1881), was producing good but large and flat Maggini-modeled instruments, often using a thin five-ply purfling (three black and two white stripes). And in Merlara, a commune of under 3,000 inhabitants near Montagnana in the extreme southwest corner of the Veneto, was a slightly younger contemporary of Chiocchi – Domenico Degani (1820–1887), the patriarch of the Degani family and Giulio’s grandfather. Domenico turned out characteristic well-made but unexceptional instruments, typical of mid-19th century, rural Italian production. Like Fabris, he was prolific; apart from signing some of his own instruments, he also supplied instruments to Vicenza dealers, Francesco Lazzaretti and Giovanni Battista de Lorenzi. Domenico’s son, Eugenio (1842–1901), began his career assisting his father in Merlara but, professionally destined to go further, he did not remain long in Domenico’s workshop. When in 1867 the family moved the short distance to Montagnana, Eugenio opened his own premises there. Though he remained in Montagnana for much of his career, he entered instruments in numerous national and foreign exhibitions, receiving various awards, including a bronze medal in Milan in 1881 and a diploma of honor in London. Sadly, very few of his instruments dated prior to the early 1880s survive with their original labels intact. 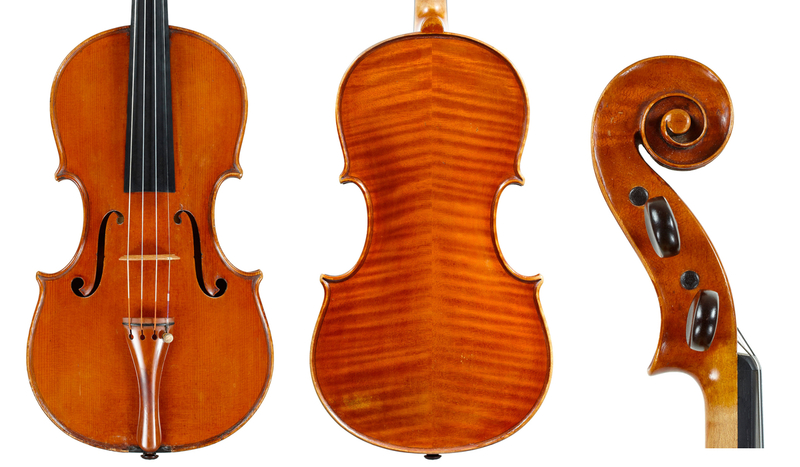 During the 1870s, in search of inspiration and an advanced knowledge of violin making, it is inconceivable that Eugenio did not travel outside his immediate area to cities like Padua, Venice, Milan and Bologna, where the established workshops of Chiocchi, Fabris, the Antoniazzis and Raffaele Fiorini were beginning to flourish. Venetian influences seem to have had a major impact on him, and Domenico Montagnana’s unique style would have particularly piqued his interest. 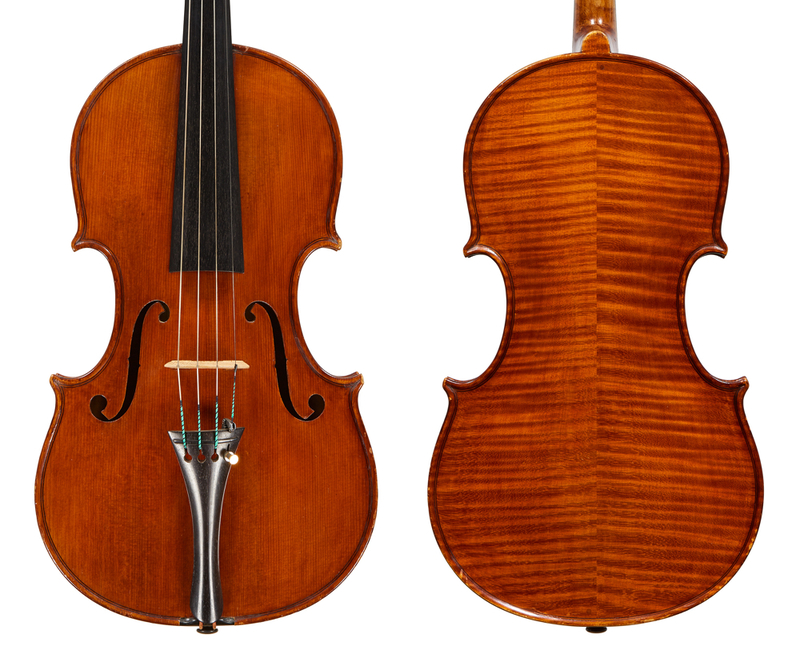 Eugenio’s violin making consequently strayed a long way from his father’s rustic style, soon equalling that period’s very finest handful of makers across Italy. From the early 1880s, Eugenio and later Giulio Degani experimented with forms and varnishes that echo the best of what Venice had to offer. The fluidity of their intensely characteristic designs and archings makes their unique work difficult to forge by ‘upgrading’ existing instruments of a lesser pedigree, thus ensuring the survival of much of the Deganis’ work through the past century untainted by forgeries. Having doubtless been drawn by the allure of Venice, the Deganis moved there in 1888 after the death of Domenico. Giulio, then aged 13, would have been at the start of his training and Eugenio’s nephew Giovanni Schwartz (1865–1953), who had also been training in the workshop, moved along with them. Eugenio could not have timed this move better. Fabris, the final representative of the older school, was nearing 80 and died the following year. 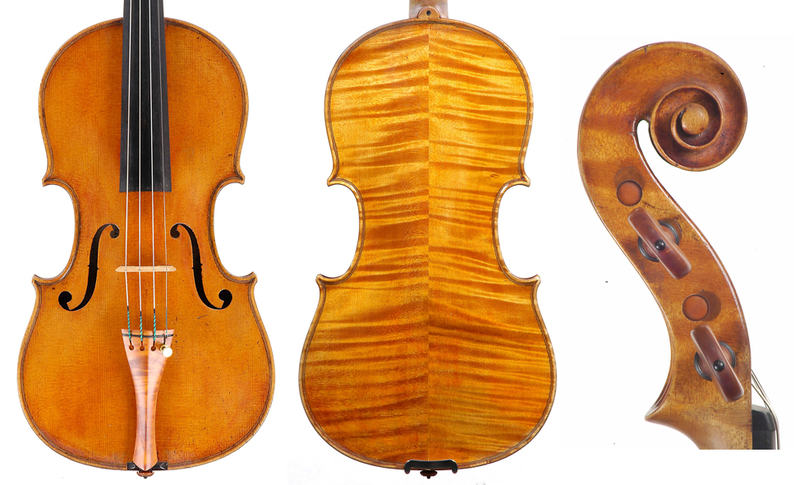 So it was that within a few years Eugenio Degani had become known as the founder of the modern Venetian school, by then undoubtedly with the help of the equally talented Giulio, as well as running the best-known and most prolific violin making establishment in the Veneto region. Eugenio also directly taught Ettore Siega (1860–1936) and Luigi Chiericato (c. 1860–1912), though his style may be felt in the work of all subsequent Veneto makers. 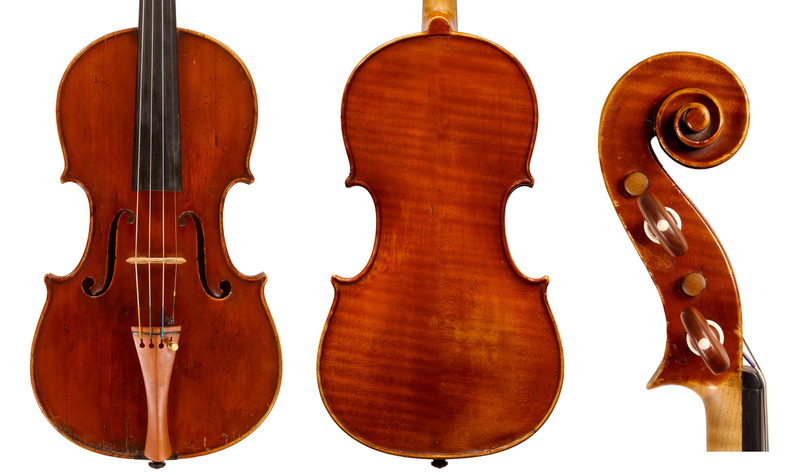 Whether or not one is partial to the somewhat eccentric aesthetics of the Deganis, one cannot help but admire the mastery and creativity of their refined and delicate instruments, which is so true to the Venetian school and defiant of the then prevailing tendency across Europe, and even Italy, to copy the classical Cremonese makers, Stradivari, Guarneri and Amati. By around 1894 Eugenio had granted his precocious son the authority to label his own instruments, although they were remarkably similar to his own. Giulio was already an accomplished workman by the age of 20 and had also turned into a proficient violin player, who would later in life play and teach the violin professionally in parallel to his main occupation. From the time that Eugenio’s workshop became known as ‘Degani e figlio’ in 1898, it is likely that most instruments from this firmly established workshop were made by Giulio. Some of Giulio’s early instruments follow his father’s Montagnana-period work, where he used a five-ply double purfling inspired by Chiocchi. Giulio also followed Chiocchi’s scroll designs for a number of years. Later on he would experiment, breaking free from the standard Eugenio Degani model: at times changing the proportions of the scroll, making it more Stradivarian; at others, considerably flattening the arching and adding a slight curve to the top of the f-holes, or shortening the corners. Santo Serafin’s delicate, oval-shaped model, precise workmanship and the use of regularly flamed, fine material equally inspired him. Giulio took great care to deepen his rather sharp channeling at the edges and to flute his rounded scrolls and lower f-hole wings. Like Eugenio, Giulio initially used large locating pins at the top (below the button) and bottom of his backs but later abandoned this trait. His considerable talent soon allowed him to improve on the already high standard of his father’s work. At least three types of original labels are known from his Venetian working period. Degani’s work had reached its peak by the beginning of the 20th century, lasting until about 1915. In that year, aged 40 and by then Venice’s foremost violin maker, he emigrated to New York to work for Wurlitzer. He brought along his friend and pupil Jago Peternella. 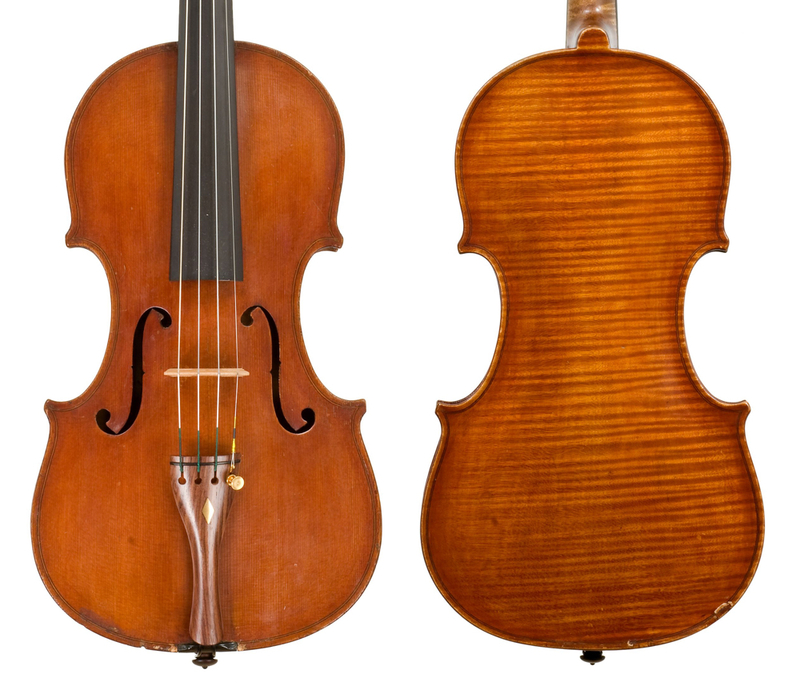 The two men were the first in a series of Italian violin makers to emigrate to the US, followed by several others of note, including Simone Fernando Sacconi. Though Peternella later returned for some years to Italy, both men ended up spending most of their working lives in the US. Giulio stayed with Wurlitzer for nearly three years in New York and for a further three in Cincinnati, before setting up on his own in 1921 (see part 1). 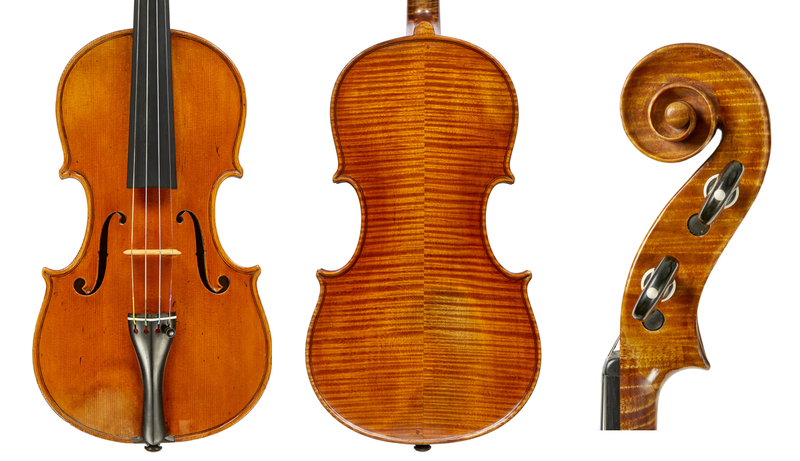 Degani and Peternella’s move injected Italian flair into America’s violin making, which until then had been strongly influenced by the Franco–German schools headed by the Gemünder family. 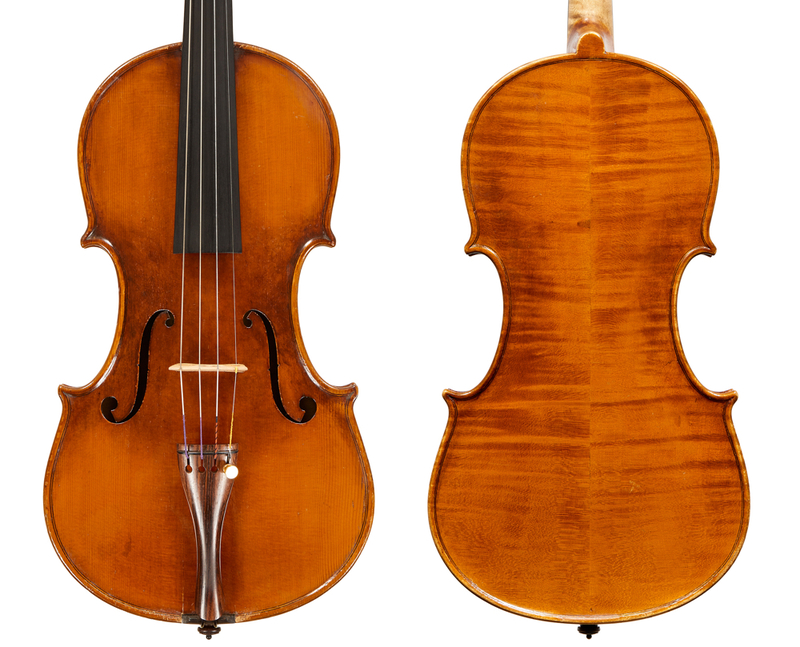 By the same token, their move caused Venice a loss of momentum in the development of its own violin making; in the absence of Degani and Peternella the city would never again boast truly fine violin making. In retrospect, while this move was undoubtedly pivotal in Degani’s career, it did not ultimately benefit his own stature as a violin maker. His dismal knowledge of English would probably not even have allowed him to come out into the front rooms of the shops to meet Wurlitzer’s clients. During Degani’s six years with Wurlitzer, his new making may well have taken second place to repairs, yet some of his instruments bearing original labels with dates corresponding to his years under Wurlitzer in Cincinnati, indicate Venice as the place of their origin, without any evidence of him having ever returned to his homeland. 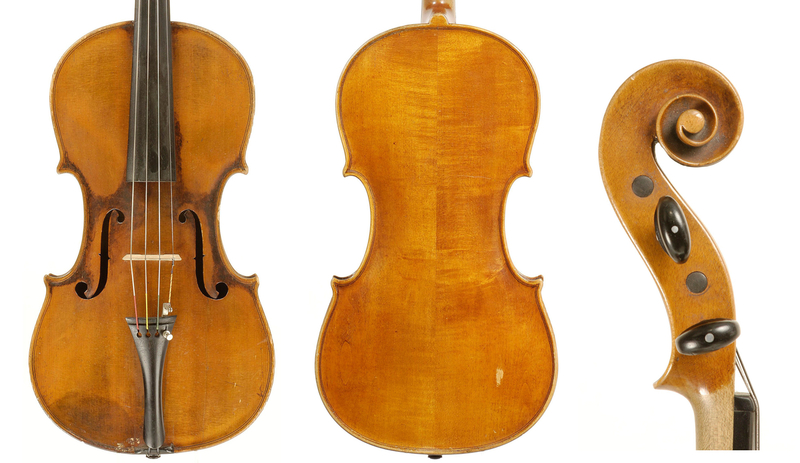 Furthermore, a large number of his violins bearing labels dated from around 1896–1898 may also have been made some years later and quite possibly in the US. The practice of backdating labels to the late-19th century was not uncommon among Italian violin makers or their employers. Degani had at some point developed a unique brand with his name written in cursive script. Though the labels of instruments that bear it below the back buttons, or at their rib joints, also show Venice as their place of production, they, too, are most likely to have been made in America. Whether such instruments were made at Wurlitzer’s request or during Degani’s spare time remains a mystery. The years in Cincinnati and Atlantic City saw a steady production from the maker’s workshop, but the instruments so lack the appeal of those he made – or is presumed to have made – in Venice, that it is hard to see how they can have been made by the same hand. There is, however, no indication of anyone else having been their maker. One can only speculate as to the reasons for such a sharp decline in Degani’s output starting from the 1920s: the trauma of the adjustment to American life; the inability to find the right materials and varnish ingredients; the onset of diabetes and gradually failing eyesight associated with his declining health; these may all have been contributing factors. Degani’s varnish and wood selection suffers considerably from the 1920s, while his archings and edgework flatten. The now-opaque varnish hardens, at times adopting pinkish or dark-brown shades. Some of his violins can reach 366 mm in length, though most remain under 360 mm. Yet despite their deficiencies compared with his previous work, some of the Cincinnati instruments remain excellent sounding and still show an Italian essence. The Great Depression and World War II increased the negative effect on Degani’s production so much that it nearly stopped altogether. He was forced to seek work at various factories, and also played and taught the violin. This signalled the end to his career as a prolific maker of violins, though he retained his workshop on a part-time basis until 1952. Giulio Degani created several hundred excellent instruments over his long and colorful career. At its very best his work ranks within that of the top ten modern Italian makers. He also left us a few superb cellos and violas.